If you are familiar with what is available in the App Store as it relates to educational math games, many of them are focused towards the pre-school to late elementary years. If however you are a parent, an educator or both, that has middle school students or children then maybe you are in need of something more appropriate for your Apple device. 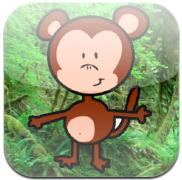 Currently on the market is Middle School Math 7th Grade by new developers Monkey in the Middle Apps. As you travel through various locations around the world with an animated monkey, the object of the game is to guide him sideways, up and down ladders with the tilting magic of your Apple device. In order to get him safely down, it is your goal to answer a variety of algebraic expressions. Through your middle schoolers exploration, they might make a real world connection as Middle School Math 7th Grade bares a slight resemblance to the video game version of Donkey Kong. Upon entering the application, you will notice that the main menu options are basic and to the point. There is not a great deal of flashiness that needs to attract the audience. In addition, when opening Middle School Math 7th Grade you will also notice that your Game Center app is queued up. Your achievements and leader board stats will be stored in your Game Center account as it relates to your individual mobile device. The initial download of Middle School Math 7th Grade is free and provides users with four mathematical topics to review: negative numbers as it relates to all operations (+,-, x, and /), absolute value and the orders of operation. Within each academic level there are also three levels of difficulty. Your achievements are presented numerically in banana icons within your Overall Ratings window. A note to the developers – might it be possible to store such things as: About, Leaders, Achievements and such as a separate icon that users could tap on as an “on needed” basis. By doing this, it would open the main screen a bit to present the Overall Ratings window a bit bigger. If over time, your middle school feels that they would like additional topics/questions to their Middle School Math 7th Grade application, there is an in-app purchase option of .99¢. 1) When an incorrect answer has been chosen, students should see some kind of consequence. If sending the monkey back up levels, then it is important to be consistent. An alternative consequence could be adding a particular block of time to your final score as a penalty. 2) When problems appear, students are not pressured to complete in a particular amount of time, however, some students may require a scrap pad to solve. It might be interesting to offer a notebook like icon which students could use as a calculator or to follow through with their step by step procedures in answering. Their finger or even an appropriate mobile device stylus could be used as a pencil. This would accommodate students of all learning modalities. 3) This is an educational math application, however, it might be interesting to add some level of challenges. Such challenges may include obstacles that the monkey would need to jump over, swing across or things to collect along the way. Although Middle School Math 7th Grade may be for young adults 12+, they still require some challenges along the way as they game for a reason. The goal is to keep the player engaged and challenged academically. With every wrong answer, supplemental questions of similarity should be presented. For those consistently getting correct answers, problems should increase in difficulty. Overall, Applicable2u believes that Middle School Math 7th Grade has potential. Currently, they are reviewing suggestions by both parents and teachers on ways to improve their educational app. A component that we have yet to see by other developers is the ability to build and load your own question sets via HTML code that Monkey in the Middle Apps provides via their website. If you would like to learn more about Monkey in the Middle Apps, simply click here. To begin climbing down your ladders of algebraic expressions, simply click here to access Middle School Math 7th Grade as a FREE download from your iTunes library today! It seems fitting that our 130th app review will post on the day of this apps launch. Artgig Apps will add to the App Store, Alien Buddies. An educational app which encourages colors, shapes, letters and numbers as your little one (preschool to kindergarten aged student or child) travels into outer space as they play and learn through a variety of games. Designed to be explored and played on your Apple device from your iTouch, iPhone or iPad, continuous enjoyment can be had. As your imaginary astronaut games for a reason, they will encounter the most adorable aliens and eye popping graphics. These little creatures are far from scary, they couldn’t be more friendly in appearance as they guide your little one on this educational journey. With an easy to navigate menu and game play, this early learning app will introduce, develop, and reinforce the youngest of fingers. Alien Buddies encourages learners of all styles. Upon entering, users will have the option to play a matching, build multiple size puzzles, connect the dots or design an outer space background with those stickers that you earned along the way. If a user should choose to play a colors, letters, shapes or numbers match, then simply click the orange pod and its waving paper like alien. Here players will be given a variety of age appropriate academic choices. Depending on a users learning need(s) or style, they will be developing such skills as following directions as they either listen or see the necessary skills being taught or reinforced. You may choose from basic colors and shapes, however, when deciding to match with letters and numbers, players will be provided more options for further mastery and comprehension. Learn the difference between upper and lower case letters or master numbers from 1-50. With a “moon” of correct answers, aliens are saved as your young astronaut is verbally reinforced and rewarded with stickers. Worried about making mistakes, don’t be! Artgig Apps allows for multiple clicks without being penalized. Within the matching menu, if users and/or parents are looking for some form of a progress report, a green checkmark will appear at each level of play, audio or visual. Although games do not need to be played in any particular order, users might find it useful to begin with the fundamentals as they play a matching game. Dot to Dot will reinforce sequential counting as it provides audio feedback and develops ones fine motor skills. After clicking the rocket ship, users will be given what appears to be “empty” images. Through a simple dot to dot game, players will then complete images in one of two modes: please help or I can do it myself. The “please help” mode, highlights in purple the numbers that are to be clicked. As you magically touch the purple number, a new one appears. The object of this game is to sequence numbers from lowest to highest. To continue support of all users, as a player makes a finger to number connection, numbers are announced for reinforcement. Like the matching game, with each correct build, users will earn more stickers. The “I can do it myself mode”, does not provide any color reinforcement. It is assumed that you are aware of number sequencing and can function on your own. Although there are only eight empty images that need to be built, players can rebuild and earn a totally different sticker for their collection with each return visit. A note to the developers – in a future update, might it be possible to offer more puzzles? Or the option to change sequencing directions, from highest to lowest? Or to offer alphabetical order as well. This would be a nice extension to the Matching game(s) level of play. To further extend the matching game option, once stickers are connected, might it be possible to tap that sticker and announce the object name. Another great way to encourage vocabulary development. As a player uses their imagination in outer space to gain new knowledge, it is now time to let that expand to ones artistic side. With all their hard work came rewards. These rewards have been stored in the Alien Buddies Sticker option of your main menu. Here users are given eight different landscapes and 40+ stickers that can be added to tell an amazing story. Stickers can be manipulated in a variety of ways by rotating, dragging, and scaling them to size. In addition, backgrounds can be saved to your mobile devices Photo Gallery. As Applicable2U experimented with this application, we were encouraged to see an alternative opportunity that the Alien Buddies Stickers might have on a classroom environment. Through this simple sticker building activity, users can re-experience their imagination and share their creativity. If printing of Photo Gallery items is possible, users could tell that story to an adult as it is scribed on paper or your mobile device. Writers workshop just took on a whole new level of writing. Recently, the buddies were transformed into puzzle pieces. As you explore the Alien Buddies Puzzle mode you will be introduced to eight “Monster Inc.” like characters which are super adorable. Although there are only 8 friends, each can be put back together in three levels of difficulty: 4 pieces, 6 pieces and 8 pieces. Simply click on a piece and drag to it to the correct spot within the puzzle. As you manipulate with your finger, pieces will move and even rotate for the user as you near the correct location. A note to the developers – might it be possible to allow users to rotate the pieces on their own as they build within the more difficult level. This would truly set the challenge expectation even higher as they navigate smaller pieces to a puzzle. 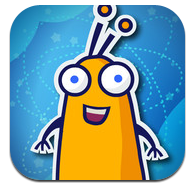 Overall, Applicable2U was impressed with the possibilities that Alien Buddies had to offer. We loved exploring the outer banks of space with these adorable aliens and we can’t wait to share it with our own son. If you would like to learn more about the other apps that Artgig Apps has to offer, please visit their website here. Can’t resist these little guys? Then begin downloading Alien Buddies today to your iTunes Library here. When you think about incorporating a mobile device with any grade level student or child, their goal should be to understand and grasp the skill(s) being taught, right? Well then come aboard a pirate ship as we land on the shores of unknown seas. As they use their mobile device, the hope is that they are discovering new mathematical skills rather than playing to memorize. Love to Count by Pirate Trio has been designed and tested to do just that in a very creative way to enhance numbers. 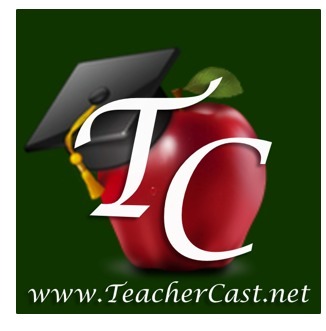 It is a mathematical educational app designed for all Apple devices running iOS 4.0 or later. When you read the title of the app, Love to Count, you assume your child will only be working on basic skills. Well, you couldn’t be more wrong. Applicable2U was amazed at the number of mathematical skills that are reinforced as your son/daughter or student(s) are playing in the land of pirates. Love to Count by Pirate Trio is accessible to multiple users. When entering you can choose from six diverse characters, 3 boys and 3 girls. As you dive down into the deep blue sea or hop aboard a pirate ship, your student or child will be working and exploring with adding, subtracting, shapes, counting and ordering. Each of these skills is then narrowed down even further to deepen their understanding of numbers. There are a number of things that Applicable2U loves about this application. Love to Count by Pirate Trio is accessible for all learners. It provides a great deal of repetition, verbal reinforcement, a hands on learning experience as they use their fine motor skills to move items around the page, rewards and even user statistics that a parent or teacher can view. When playing some math applications, users are at times stressed due to a timer, Love to Count by Pirate Trio does not incorporate such a feature. The captain aboard the ship, or the narrator, reads the question and basically waits until an answer is chosen or the “Done” green checkmark is selected. If a child needs to question repeated, the developers have an answer for that, simply click the speech bubble button in the top right hand corner and your captain will read the question once again. As you successfully complete each question, users are verbally rewarded. If however, you have chosen an incorrect answer, not to worry, you can always try again. As you enhance your understanding of numbers 1 to 10, users will be asked to unlock a secret code word, once unlocked you can then enter a cave where hidden rewards are. These rewards are stored in your treasure chest and can viewed for others to see. The approach that is taken with this educational app is very well done. Although there are over 700 math tasks, Applicable2U would love to see an extension of numbers added for those having mastered the necessary skills. Such an extension could come through as a free update, or an in-app purchase to those that have downloaded Loved to Count by Pirate Trio. Overall, Applicable2U will certainly recommend Love to Count by Pirate Trio to other educators and parents. If you would like to learn more about Next is Great, please visit their website here. If your son or daughter loves to count, then you will want to add this pirate adventure to your iTunes library, simply click here. With a variety of animals, both ancient and those more familiar, children will be encouraged to learn their numbers with the help of an interactive number line. From the creators of award winning iPhone and iPad applications, Motion Math Zoom was launched this past summer and is zooming out of control, in a very positive way! It is eye appealing to all age levels and supportive for both parents and teachers in so many ways. With the ability to add what appears to be an unlimited amount of users, this educational app can be customized to meet the mathematical needs of all academic levels. Are you looking for a new way to integrate your Apple mobile devices into the classroom? Are you and your students bored with the old way of introducing numbers and the importance of place value? Well, according to research done by Motion Math, this intriguing application makes flexible mental computation, numerical estimation, and quantitative judgment possible in a most visually appealing manner. It is important to note that when downloading Motion Math Zoom initially you are viewing the lite/free version. Without having to spend the money, developers thought it might be worthwhile to “wet” your educational palette to make sure that this was the concept you needed to reinforce. With the lite version, you will be able to unlock 6 levels of play. However, as in app purchase, users could have access to a total of 24 levels of number play. As you zoom in and out, users will experience a variety of numbers ranging from 1-1000, negatives, decimals in the tenths, hundredths and thousandths as well as a challenge mode. By simply scrolling from side to side and pinching your fingers in and out, users are expected to pop a numbered bubble into its correct place on a number line. With the help of logical mathematical skills and estimation, users will need to know when it’s time to pinch, zoom or scroll. In doing so, users will be surprised to see the transition that the number line will take. There are a number of outstanding academic support systems in place that Applicable2U truly loves that Motion Math Zoom chose to include. Initially in our exploration, I played like a teacher/parent that had the background knowledge of numbers and place value. As I progressed through the game, I noticed stars being earned due to the way I was playing based on my speed or that I had the “bubble popping” needle set to on. As our exploration continued, I decided to see how the experience would change if I put my student cap on. Indeed it did change and I was pleasantly surprised! As I navigated through the introduction, I stumbled upon a wonderful feature. If you are familiar with what is called “wait time”, children tend to need time to process what is placed in front of them. If given a number and unsure where it belongs on the number line, interaction with the mobile device may lag causing this wait time. With this lag came some amazing features. For example, a pointed finger appeared at the bottom of my number line indicating what type of motion needed to take place. In addition if further wait time occurred, a written explanation was added to the screen “Move the frogs to 20.” The last type of support that we noticed was a small bubble wand appearing on the left hand side which I could click on thus blowing out a bubble which asked and also spoke “Want help?” This would be an excellent opportunity for a teacher or parent to step in to provide their student or child academic support through the use of questioning and additional reinforcement. Overall, Applicable2U feels that Motion Math Zoom is a winning application! It truly provides an educational support to those on the go or in a whole/small group instruction setting. Whether you are a teacher/parent of a regular or special education child(ren) or happen to be a homeschooler, it is time to zoom in. If you would like to learn more about Motion Math Zoom or any other Motion Math, Inc applications, please visit their website here. Are you ready to zoom along the number line, then begin downloading Motion Math Zoom to your iTunes library here.